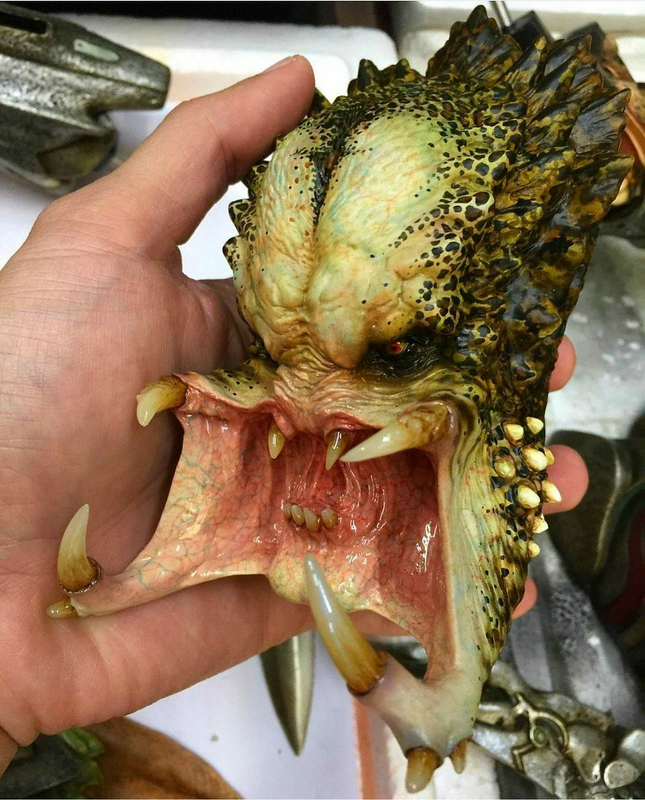 I contacted SWS with regards to needing help with painting the inside mouth of my 1/4 Predator. They suggested starting a new thread here to see if any fellow painters can shed some light as I am stuck. The inner mouth is truly my nemesis at the minute. 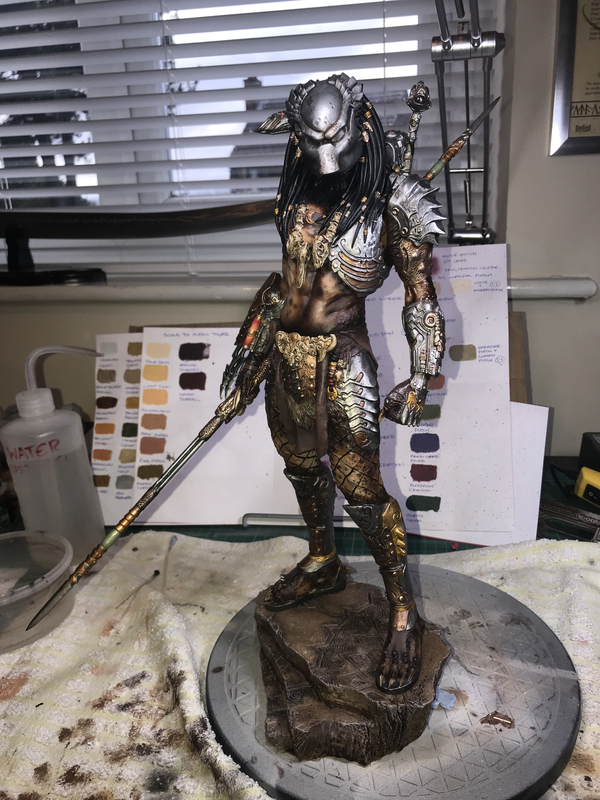 I am now on to my next Predator, which is a 1/4 Scale Bust. The body is done and I am now doing the head and I just can’t get an organic life like inner mouth. What I produce is either too pink, too red and generally looks ‘painted’ if that makes sense. 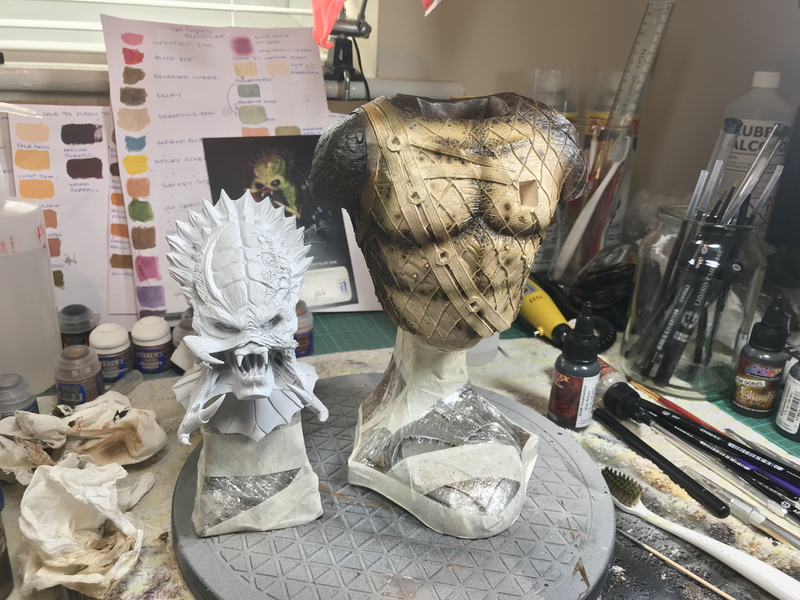 I have also attached a photo of my Bust along side the unpainted head along with a photo of a predator head with the mouth painted to give you folks an idea of what I am trying to achieve.